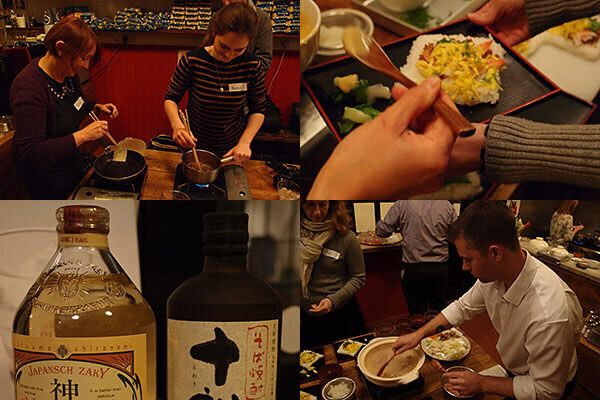 Atsuko’s Kitchen is a Japanese cooking class teaching how to make various regional Japanese dishes. And a few days ago I had the pleasure of taking the class thanks to KLM UK. The airline is opening up another direct route from Amsterdam Schiphol to Fukuoka, on the Japanese island of Kyushu. Fukuoka is mainly a tourist destination for European travellers, and there are some significant historical locations on the island. For example, the city of Nagasaki, where westerners first landed in Japan and opened up a trading post with the Emperor of Japan. 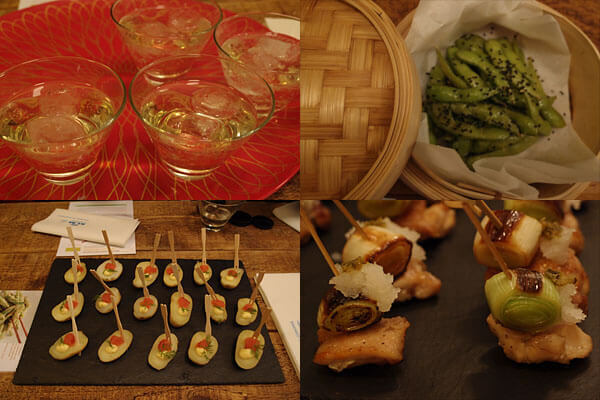 However, the evening wasn’t a history lesson, but a cooking one, and most of the knowledge imparted was around the food and drink of the island. We all looked somewhat apprehensive about cooking unfamiliar dishes together, but Atsuko stressed that Japanese food is often very simple, and that we’d do just great. Just tipsy enough after our drink to relax a little bit, we set about cooking after being split up in groups to do each dish. Of course, those groups didn’t stay consistent for long and I think most of us ended up helping out with each recipe at one point or another. Apparently, I’m reasonably good with using a kitchen knife, so got roped into chopping up fine chicken mince from the legs, and slicing up various vegetables as well. After about an hour of talking, chopping, slicing, mixing and flavouring, we started putting together our dishes. I was impressed by the skills shown by my classmates for the evening, and can honestly say that it was a good thing I didn’t try to make the dishes look good! Atsuko’s wealth of experience made it look really easy, which turned out to be completely untrue, but they fixed some very fancy looking plates of food for us. I took this cooking class together with the great bloggers from: Mums Do Travel, Tips for Travellers, Gohemian Travellers, An unfamiliar Sky, I Want you to Know, Jenography, London Unattached, and Rachel Phipps. Thanks everyone, it was a lovely evening. Last updated by jack on 11 December, 2013 in Food And Drink. Brilliant post and thanks for the mention! I bet you could have made the dishes look good, I was bloody hopeless haha!